Many songwriters, particularly newcomers, often need help getting their songs placed successfully with artists and record labels. Since developing, growing, and strengthening a network is critical to generating pitch opportunities, songwriters that live outside of Nashville or those that lack sales skills often find themselves out of luck. Music publishers are one option for songwriters to bridge the networking gap. Publishers develop important connections with key music industry pros, match great songs with song opportunities, and make money by claiming part (usually 50%) of the songwriter royalties for the lifetime of that song. If this sounds like a steep price to pay just to get networked in and have a shot, you’re right! But would you rather have 100% of nothing or 50% of the royalties generated by a chart-topping hit? As you decide whether or not to work with publishers, keep these important factors in mind, as not all publishers are created equal. Hillbilly Publishing Co.(fictitious) and EMI Publishing are by no means on par with each other. Some publishing companies have established a brand based on their past success in the market, while others are wannabes who haven’t proven that they can successfully place songs. The problem is that the more reputable and successful the music publisher, the more difficult it is to actually get your songs heard by that publisher (since they often don’t take open submissions). Since networking into a publisher’s doors can be challenging, you may have to settle for a lesser known publisher. Don’t be afraid to work with smaller or less known publishing companies as long as they seem legitimate and trustworthy. What Resources and Connections Do They Have? Publisher resources include who they have connections with (artists, record labels, and producers), whether they can improve your song through investing in a demo, and what songpluggers they have on staff out pitching songs. Again, the larger and more successful the publisher, the more resources they will have. Specifically, you should be focused on who the publisher has connections with. If your songs are a good fit for specific artists but not for other artists, make sure that the publisher has connections with the artists you have in mind before signing a deal. What Past Successes Have They Had? The resume of a publisher consists of one thing: what songs they have placed. The more songs they have placed, the better. And if those songs have placed highly in radio charts or won awards, even better! If a publisher has no past successes, why would you want to sign your song over to them? Since signing over publishing rights is a risk on your part, make sure that the track record of the publisher merits the risk. Another thing to consider is how recently and how frequently the publisher has had successful song placements. If a publisher has only had cuts every few years or if they had cuts from 10 years ago but nothing lately, you should question whether or not they are relevant in the current music scene. 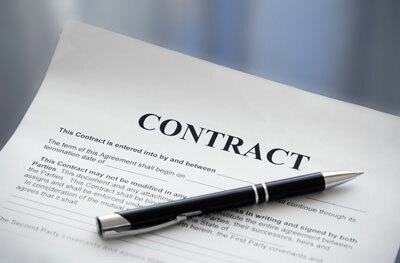 What Are the Publishing Contract Terms? Beware. Publishing contracts can make or break your career. First, publishing rights are negotiable. Most publishers want 50% publishing rights. Stay away from those that want more (you worked hard on that song! ), and ideally find publishers that are willing to negotiate. Remember that newcomer songwriters are not in a good negotiating position due to a lack of reputation, while established, successful songwriters are in a much better position to negotiate publishing rights. Second, for how long is your contract in effect? If your song is successfully placed, the contract will be in effect for life. However, what if the publisher is unsuccessful in placing your song? In these cases, a reversion clause comes into play, which determines how long the publisher has rights for your song before those rights revert back to you. Since placing songs takes time and patience, most publishers want to have rights to place your song for at least 1-2 years. If a publisher wants rights to your song for longer than several years (or for life! ), stay away! A good publisher should be able to place your song within a few years, and if they can’t they should be willing to give your rights back and let you try other publishers or placement options. Remember that your goal as a songwriter should be to get to the point where you no longer need a publisher to help you in your career. If publishers help you get your foot in the door and establish a name for yourself, great! After you create a track record of success, you will have the connections needed to pitch your own material should you decide to do so. Until then, working with a music publisher may be a necessary step in your career path.